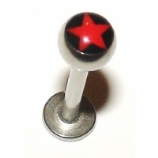 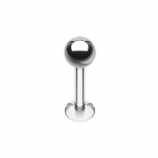 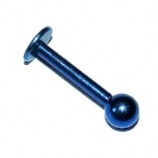 A labret bar is basically a straight barbell with a fixed flat back and a screw on attachment at the front (although some people do wear them backwards with the flat back showing, and of course there's no law against that!) 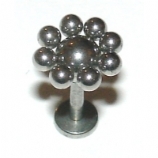 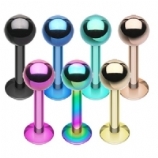 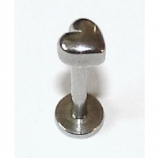 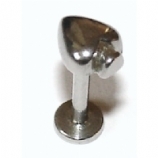 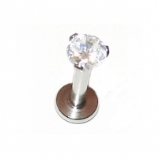 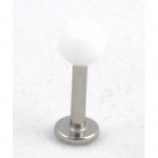 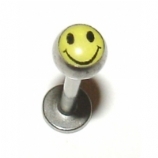 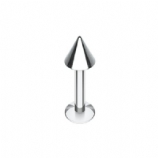 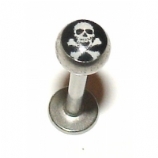 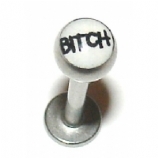 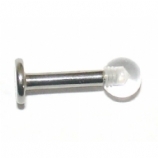 - they can be used for a wide variety of piercings such as most lip and cheek piercings, nose, and many ear piercings such as tragus, helix, lobe, conch - they can even be used for tongue piercings in longer lengths, or if your tongue is skinny enough! 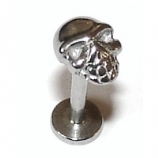 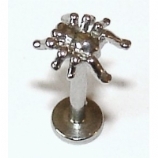 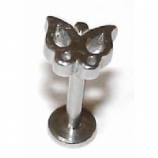 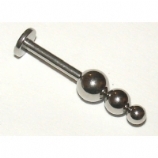 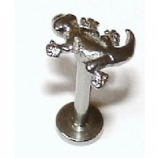 The labrets in this section come in two gauges - 1.6mm (labret), mainly used for bottom lip piercings, and 1.2mm (micro labret) which is the most common size for top lip piercings such as monroe and medusa, and most ear piercings such as helix and tragus.